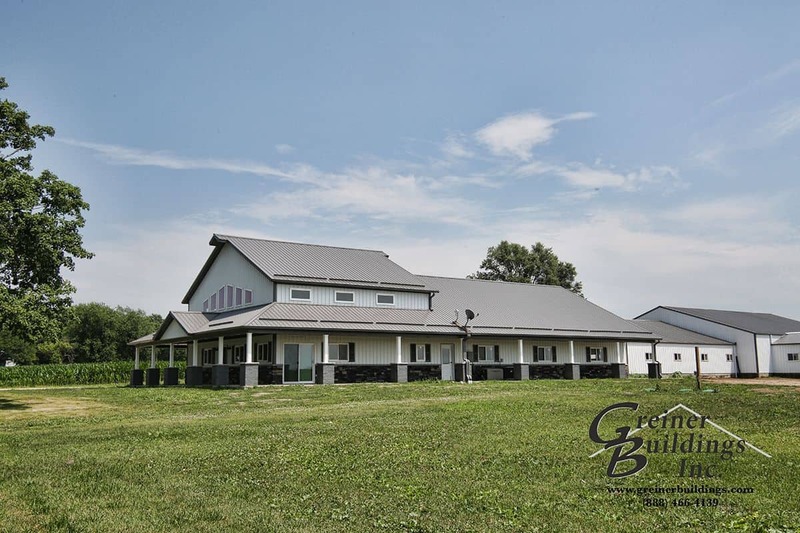 Greiner Buildings has been your number one pole barn builder in Iowa for the past 25 years. We construct post frame buildings, hoop buildings, steel frame buildings, and pole barns for residents of Atlantic, IA and surrounding areas. Our company is known for our fast service, quality equipment, and friendly customer service. We work according to your specific vision, needs, and requirements, and offer many options for styles and design. Our various awards and numerous testimonials show that we are a building company that you can rely on. Let us provide you with a free quote for any of your construction needs. Greiner Buildings is dedicated to working with you from start to finish. Our team will walk you through the design, construction, and every other process in between. We want you to love your new building, so we create 2D and 3D CAD Designs so that you can visualize it before we even begin construction. Our most popular product in Iowa right now is the Shome™ – an original Greiner creation. As a unique combination of shop and home – you can work or practice your hobby from the comfort of your own home. The Shome™ is the perfect choice for the modern-day country life. You can trust Greiner Buildings for all of your construction needs in Atlantic, IA and surrounding areas. We provide free estimates for all of our services. We are your experts in new construction as well as building repair and restoration. We also offer General Contracting and Project Management services in Atlantic, IA. Give us a call today to learn more!